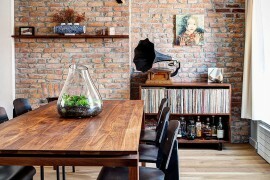 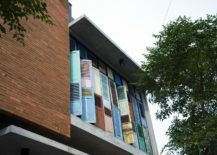 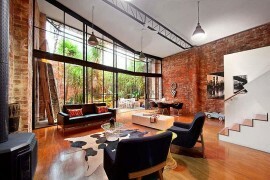 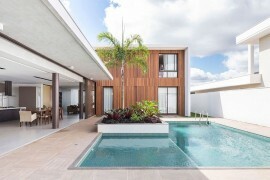 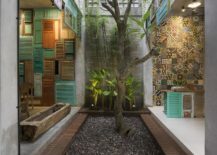 It is not very often that you see homeowners get involved in the nitty-gritty aspects of home architecture and design. 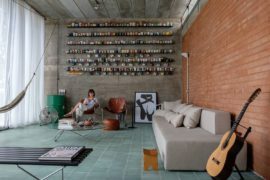 There are fewer occasions when their hobbies and existing collection of art work or eccentric decorative pieces determines the form of the home. 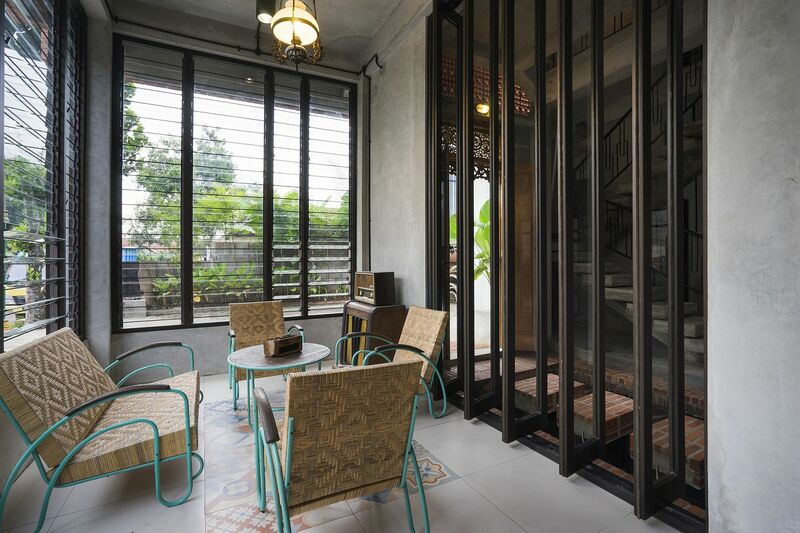 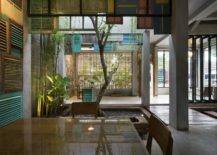 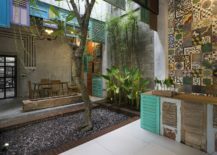 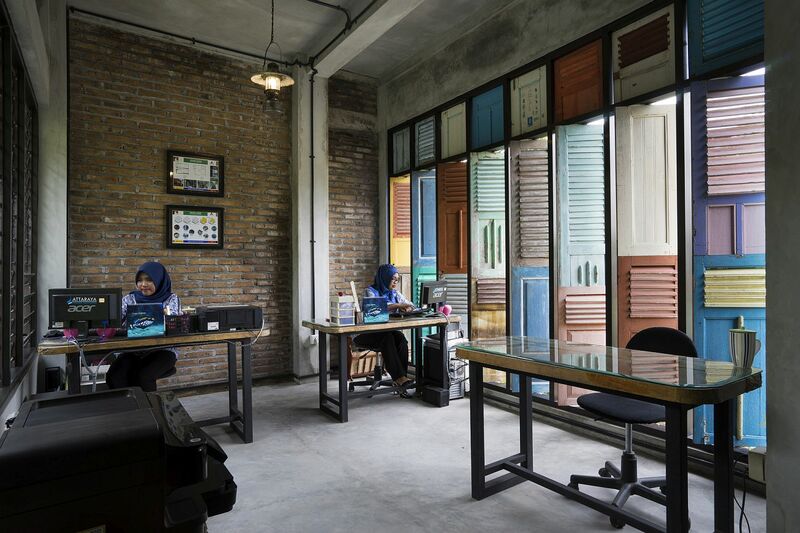 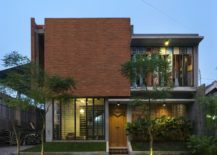 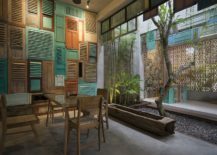 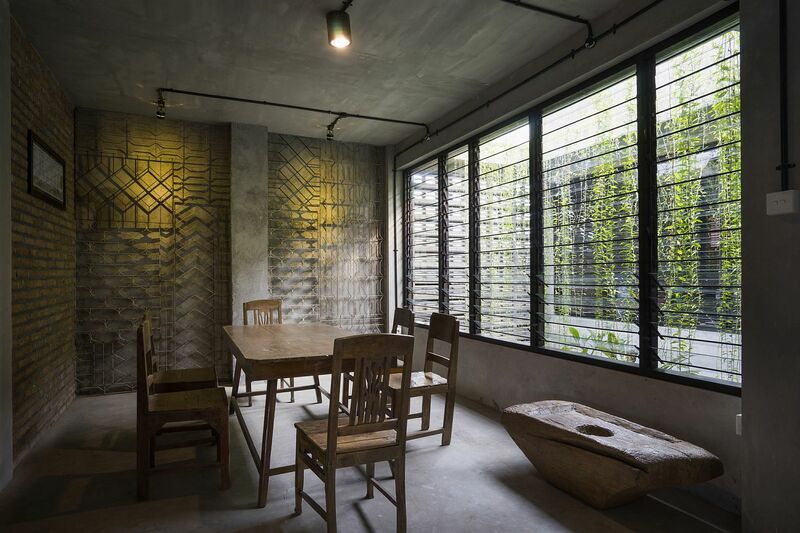 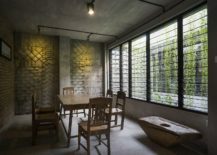 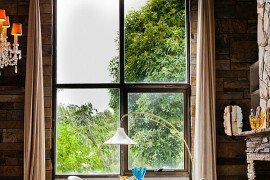 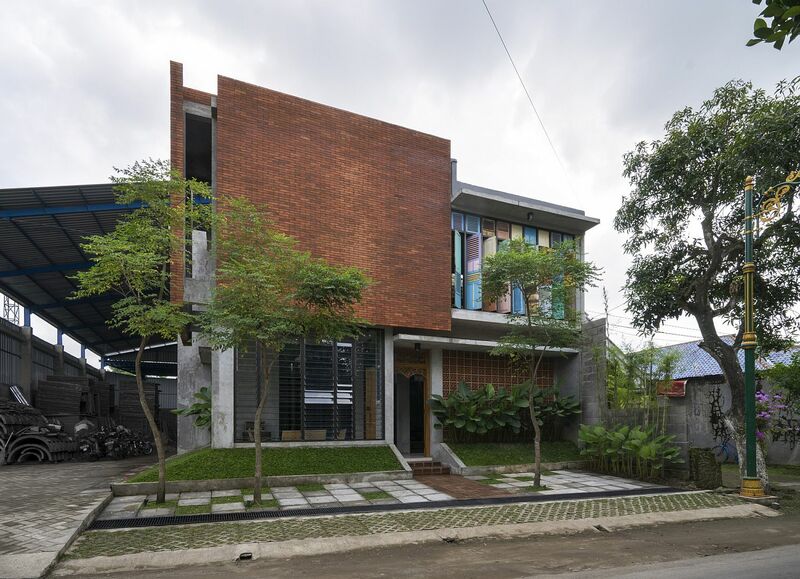 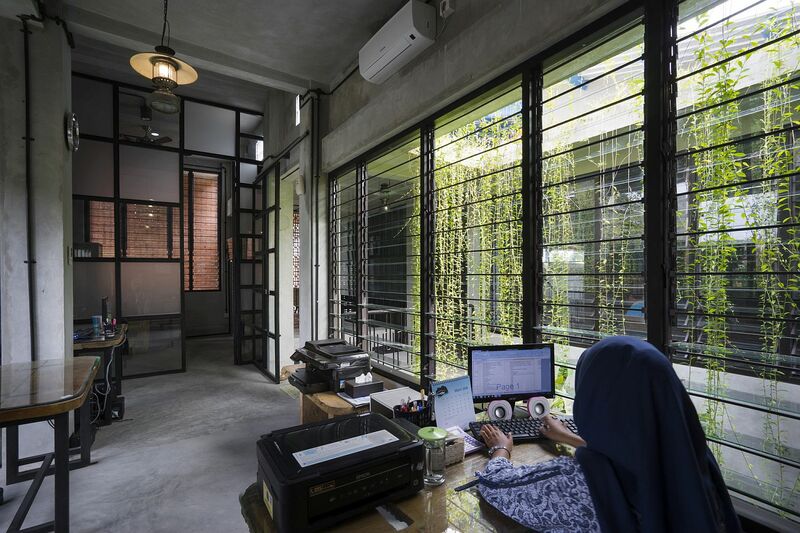 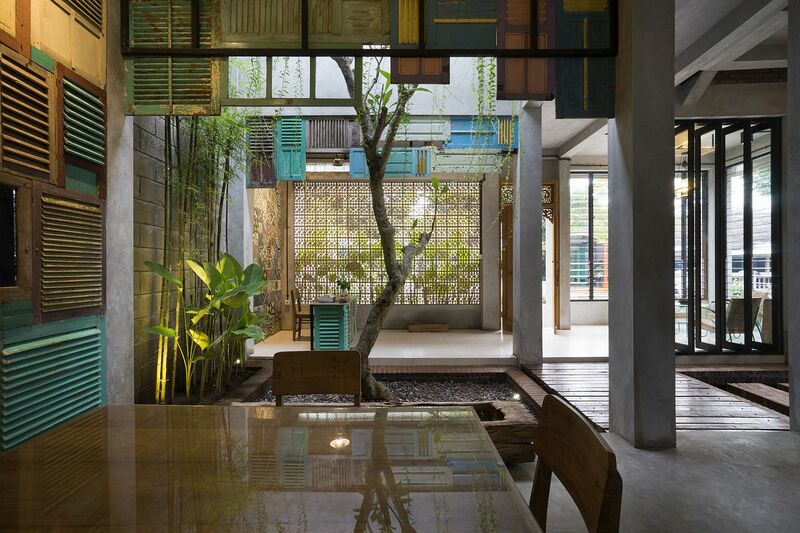 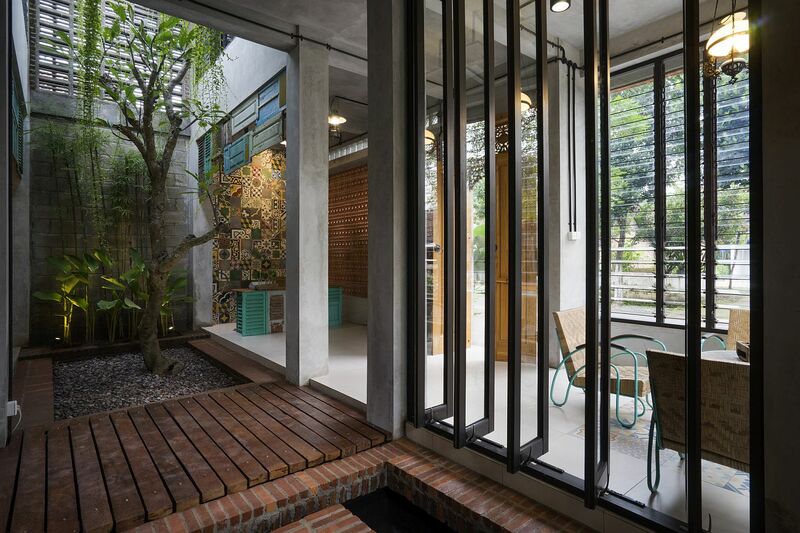 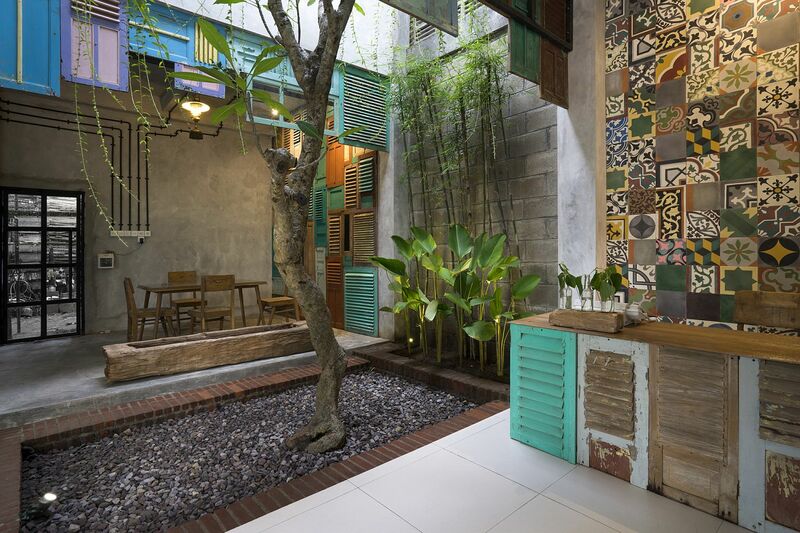 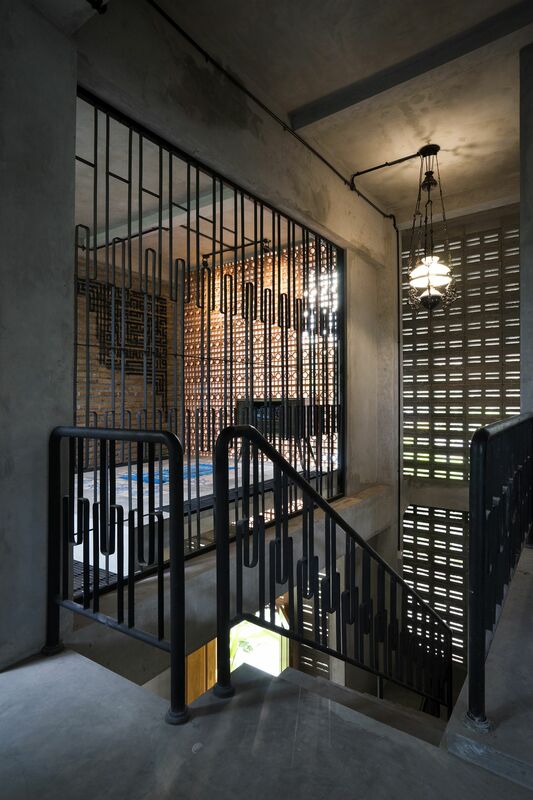 Graha Lakon in Indonesia is one such rare instance when Andyrahman Architect combined the lifelong collection of vintage wooden panels, frames and shutters of the homeowner with traditional brick walls, vernacular elements and contemporary ergonomics. 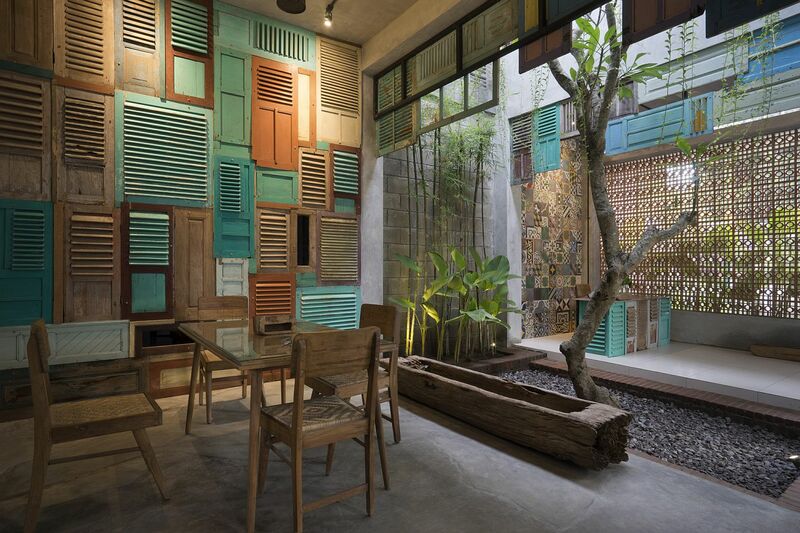 It is a fusion that will leave you spellbound! 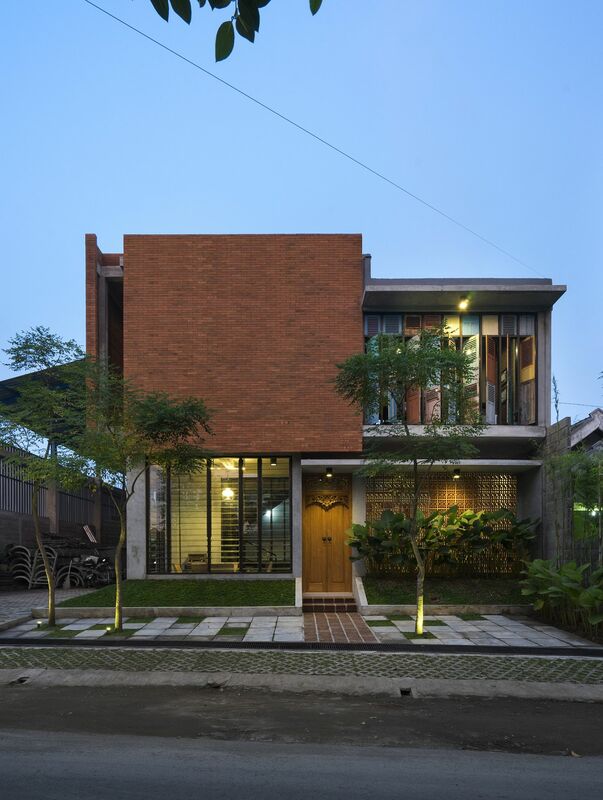 Even from the outside one can easily notice that this Indonesian house is a touch different from others in the neighborhood. 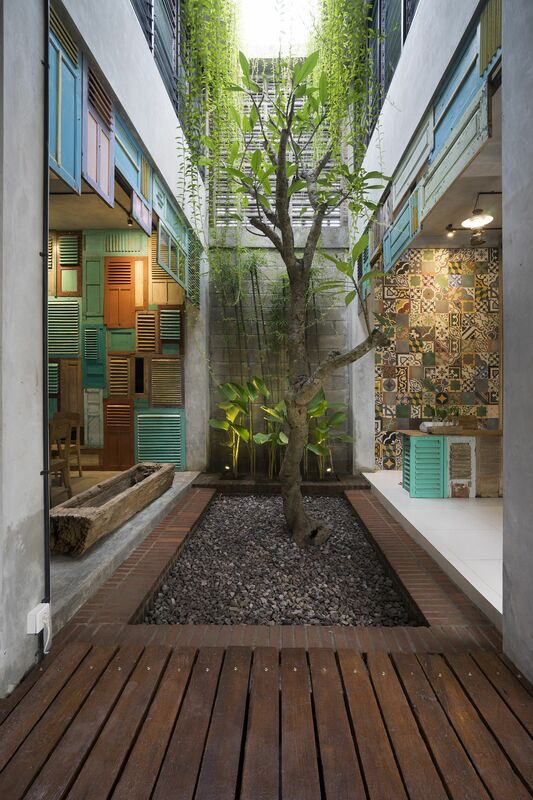 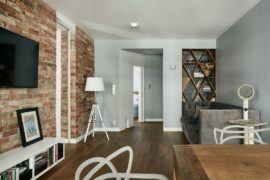 You can see the old, vintage and colorful wooden panels coupled with brick walls and a dash of greenery give the street façade a unique and exceptional visual appeal. 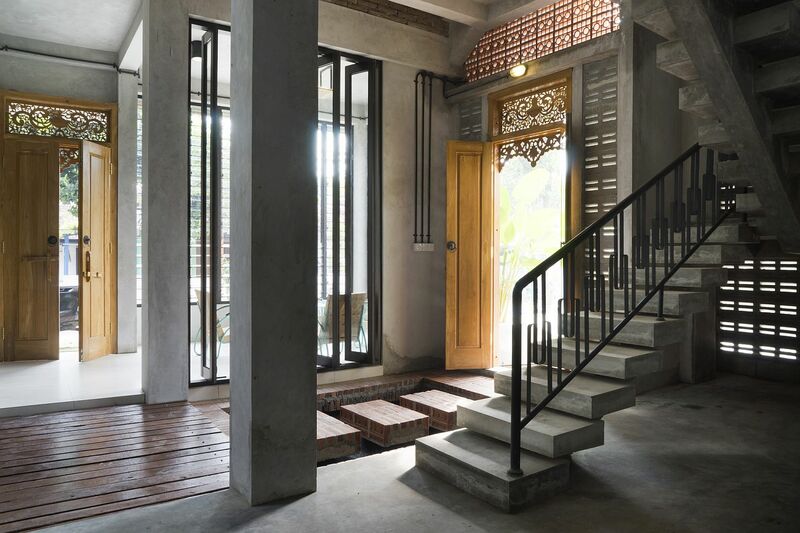 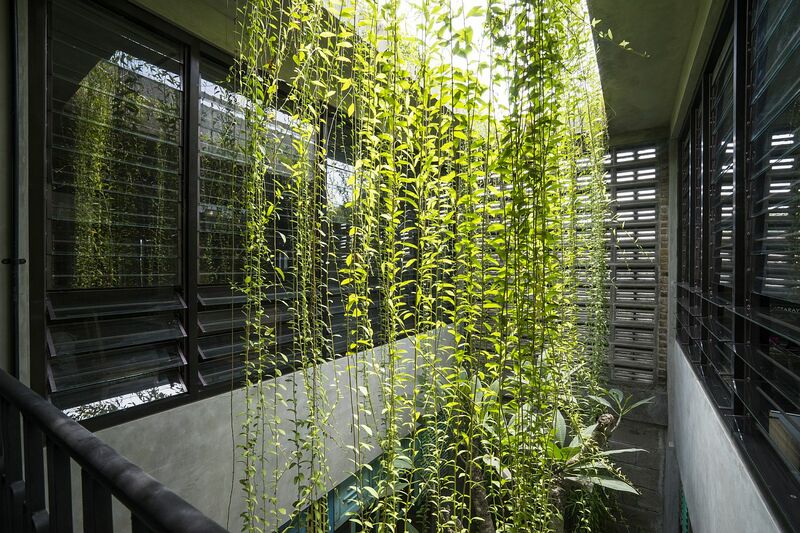 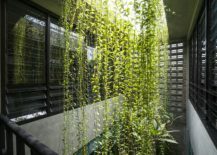 The theme continues on the inside with the entryway showcasing a small wooden bridge, a lovely atrium that fills the lower level with greenery and ventilation welcoming you gleefully. 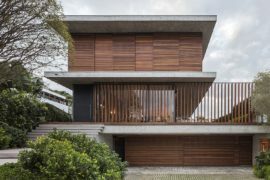 Step inside and you will discover the full collection of wooden panels on display in the dining room, living area and the bedrooms.